Throughout the program, I have been able to work on challenging, real-life projects that make a big difference for both ITW and our customers. I’m constantly encouraged and empowered to take the lead on my projects, which creates an exciting atmosphere to work in as I can see the tangible effects of the decisions I make for my projects. Coming from an engineering background, the Graduate Program has provided many opportunities to develop skills outside of my area of study. 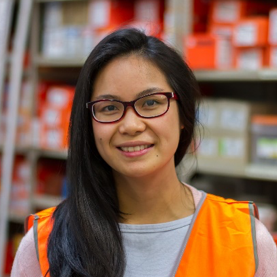 I have been able to work in a number of different roles, such as sales and marketing, which enables me to develop a much broader skillset that I would not have developed had I worked in a more traditional engineering role. This hands on experience in different departments not only helps me understand what types of roles I would like to do in the future, but more importantly helps me become a more effective, well-rounded professional and leader in the future. I’m excited at the opportunities to learn and grow within the Graduate Program and the future opportunities it opens up for me. I truly believe the ITW Graduate Program will equip me with the skills and experience required to kick-start the rest of my career. 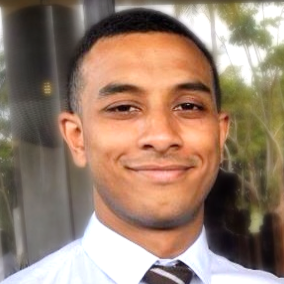 A love of Physics at high school and a desire to make processes more efficient for the benefit of others led me to complete a double degree of Bachelor of Engineering (First Class Honours) and Bachelor of Commerce at Monash University. When the opportunity to join ITW presented, I saw the perfect fit for my qualifications and interests. 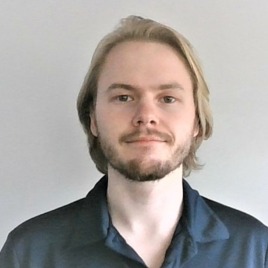 Since joining the graduate program, I have been involved in products ranging from how to distribute products more efficiently to customers, reviewing product offers, and supporting market research for new product development opportunities. For me, being part of projects that are able to make a tangible impact to the business units that the projects have been based in is really rewarding. I think the ITW Graduate program will benefit my career as it has given me the opportunity to see how ITW serve and interact with customers, how new products are researched to meet customer’s needs and pain points, and has given me the ability to focus and prioritize through ITW’s 80/20 business management process. After completing my Masters of Engineering (Civil) I was incredibly lucky to find the ITW Graduate Program. Being a Fortune 200 company with a focus on working culture and employee development, ITW has countless opportunities that I’m keen to sink my teeth into from Finance and Sales to Marketing and HR. The ITW graduate program allows us to be placed in many divisions such as these within two years to get a detailed view of how the entire business runs. This was an obvious first choice for me as the range of learning experiences offered is, to my knowledge, unparalleled by any other graduate program I have heard of. I graduated with a Master of International Business Degree from Melbourne University and shortly after I was lucky enough to get into ITW graduate program commencing in February 2017. As a graduate, I had a chance to rotate across different business functions and business units. For someone so early in the career it is such a great opportunity to learn not only about the company and different business functions but also to learn about my own strengths and weaknesses. Throughout a year and a half, I took part in the most exciting projects in Marketing, Finance, HR, Sales and Operations. I find ITW graduate program helped me to understand where my heart is in terms of my passion, talent and skills. Completely unaware, I was exposed to ITW well before I joined the Graduate program. 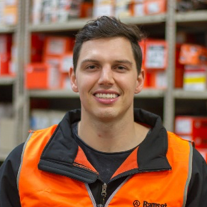 While studying my Bachelor of Engineering (Honours) and Bachelor of Business at RMIT University, I worked part time at Bunnings in the Timber and Builders department. Apart from dad’s Ramset DynaDrill™, it was here that I was exposed to some of ITW’s core brands - Ramset, Buildex, Paslode and Pryda. Having had a passion for construction since high school, ITW has offered me the perfect graduate platform for my university qualifications with challenging and diverse customer-centric projects. Within the International team in the Marketing Function, I was involved with conducting analyses on our Concrete Anchoring range to truly understand the pain-points of our end users in China. With a Sourcing project in Retail division I focused on delivering best-in-class offerings that address ITW’s key customer needs. The ITW Graduate Program is structured such that graduates get exposed to all functions of the business - from Sales all the way through to Operations, Human Resources, Marketing and Finance. This provides us an invaluable opportunity early in our career to gain an appreciation for all the functions of a business. But even more so, to connect with and learn from the fantastic people that make up our organisation. I joined the ITW Asia Pacific graduate program after completing a Bachelor of Commerce and a Bachelor of International Studies. 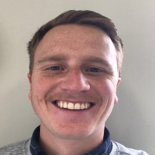 In my first 6 months I have been involved in exciting and engaging projects that have further developed my skills and my understanding of the construction industry. ITW really values the personal development of their graduates and that is made evident by the time and resources they invest into the graduate program. I studied Commerce and majored in accounting and finance for my Master degree in Uni and joined ITW right after that. The rotation arrangement in ITW graduate program gave me the chance to work in areas that I’ve never imagined myself to be in, the experience really opened my mind. I’ve just finished my 6-month rotation as an assistant product coordinator in marketing and now heading to my next rotation in sales function. Born and bred in Bright, in North East Victoria, I moved to Melbourne to study at RMIT. Completing a Bachelor of Civil and Infrastructure Engineering (First Class Honours), my first six months out of university were spent consulting at GHD in Project Management. With a passion for business and construction, the ITW graduate program provided the perfect opportunity to combine the two. The projects I have worked on during my time in a grad program have been varied and included time with Marketing focusing on social media, and HR working on onboarding programs for new employees. 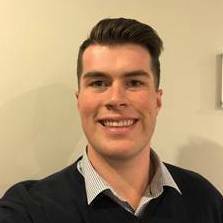 Stand out projects got me into the field and combining my Engineering background with newly developed business knowledge to work alongside customers and end users to solve their project challenges. 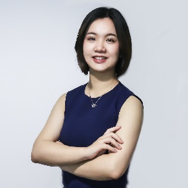 As a graduate entering the beginning of my career, I had limited industry experience and ITW has provided me the opportunity to be exposed to not only the four ITW Construction Asia Pacific Divisions, but to many various roles such as sales, marketing, finance, HR and operations. This exposure has given me a fantastic insight into how each department operates and provides value to our loyal customers. I believe this experience throughout the company will not only give myself a greater understanding of the inner workings of the business and its customers but provide myself the skillsets to become a future leader.